Slowly but surely we are starting to see some Intel Gemini Lake products for sale / pre-order such as Intel June Canyon NUC Mini PC/Kits, or Jumper EBook X1 laptop, and if are based in Europe, it’s now possible to purchase ASUS PRIME J4005I-C mini-ITX motherboard for under 80 Euros. 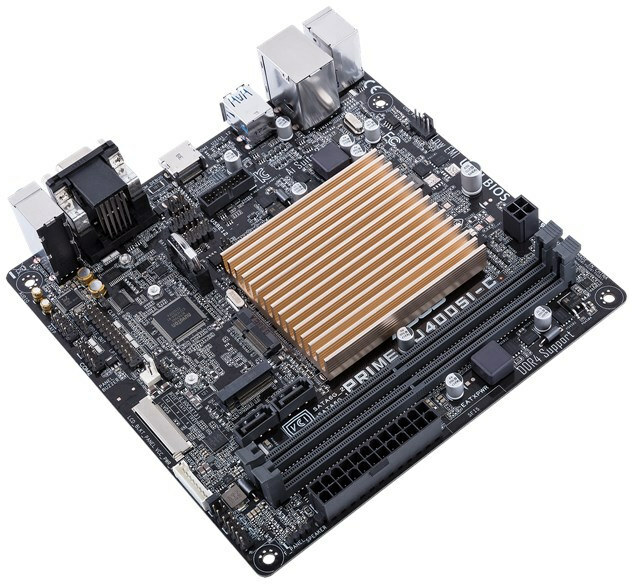 The motherboard is equipped with an Intel Celeron J4005 dual core processor, two U-DIMM slots for up to 8GB RAM, SATA and mSATA for storage, HDMI/RGB/LVDS ports, Gigabit Ethernet, and more. Dimensions – 170 x 170 mm (mini-ITX form factor). 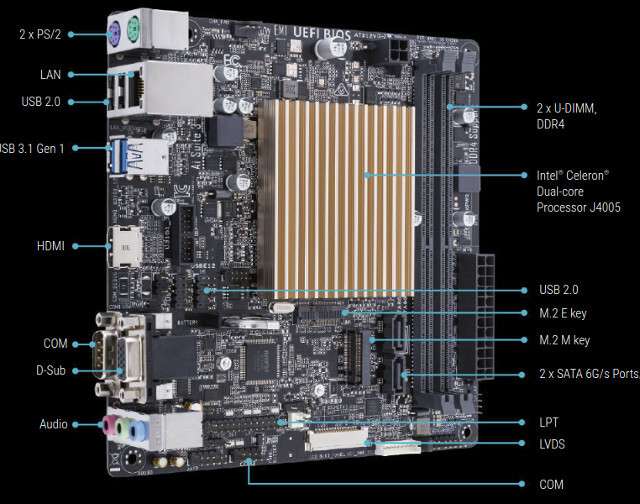 The motherboard is said to support Windows 10 64-bit or Linux, and ships with a user’s manual, support CD/DVD with drivers,user’s manual…, an I/O Shield, two SATA cables, and an M.2 screw package. ASUS claims the motherboard follows the thin mini-ITX form factor, but the height appears higher than the 2.5cm maximum height normally used for thin Mini-ITX boards. Visit the product page for further details.